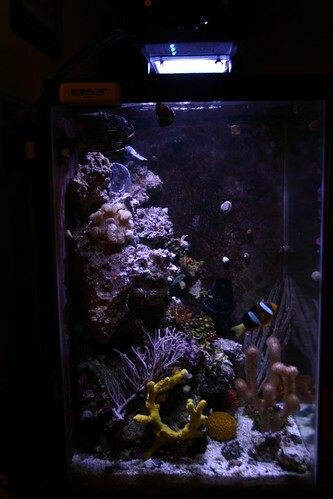 I have a 46 gallon column tank that I have been running for about 2 1/2 years. I really wanted to add some more bio-diversity to my tank, and really would like to take advantage of the 'package' deal. What I am looking at is getting one of the packages that is half the size of my tank to replace about half of the rock and sand in my tank. Also the added critters will supplement my current cleanup crew which currently is only about half the snails and crabs I need, and I do not have the other critters the package comes with. Also I have several other items that I want to get at the same time. Can I get all show pieces of LR that have corals on them in the package deal? Can I get it all to ship at the same time? What would be the shipping charges to SLC on 100lbs? Intereseting situation. If it were me, I would get a half package, but add enough sand to have the sand amount from a full package and then ditch your existing sand. 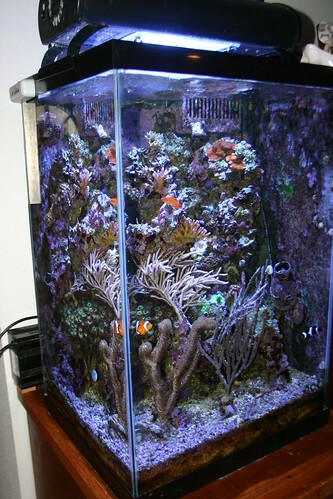 It is a different consistency than most regular sand and has the appropriate critters to keep it live long-term. I think you might run into problems mixing the sand types. It is not impossible IMO, but you would have to do it in sections rather than layers if you know what I mean. That's just my opinion. Maybe Richard will chime in. I agree that I need to be careful when adding in the sand to my tank so I don't get excessive die off in the existing sand. The way to do it is to mix in the sand with the top layer which minimizes the amount of die off and provides the additional diversity that I am looking for. Also removing a portion of the top layer of sand helps too, which is part of my plan. That is one reason that I don't want the full amount of sand. Also based on the pictures of the sand from TBS, mine seems match almost exactly the sand they use. What I am more curious about is if the things that I want to do can be done or if Richard will only send it as described in the 'Package Deal'. I would still get half now and half later just because that is a lot of rock all at once. I don't think he pics and chooses rock as show and base because it is all awesome. Motto: I dream, therefore I am. yes all of his rock is show pieces there is no doubting that. when you order he emails you to get specifics about your tank so he can send you the perfect sized rock for your application which imo is an icredible bussiness practice. just placed my order for the stuff...can't wait! Any update on the shipping? Last I heard, his bag supplier was holding him up for about a week. I have found that direct email with Richard (its on the TBS site) is sometimes more reliable than posting as far as prompt response goes. The shipment left FL this morning and is on its way. I'm not excited.....I'm not excited....I'm excited! The package arrived yesterday. Here are the notes on it. Get the boxes, open the boxes, act like a kid at Christmas, stair at all the wonderful stuff, wonder where all of it will fit, and get to work. I realized that the boxes were leaking, so thanks to a good suggestion from my wife all the LS and LR went into the tub (still in their plastic bags). All of the other stuff when into the refugium to acclimate. Oh, and take pictures to remember the experience and to document the fun stuff I received. I started out by removing ~1 inch of sand off of the top in the tank. I used a ladle and medium bowl to remove the sand trying not to stir it to much. It is currently in a separate tank for anyone who is interested. 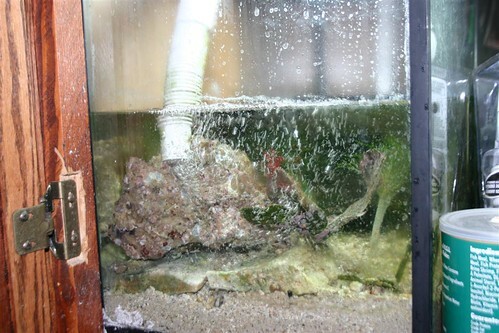 Then I remove out several pieces of rock from my tank and put in with the sand with enough water to cover the rock. Also removed anything that I had on the sand bed. Took the sand a bowl full at a time to replace what was removed, and then some, into the tank making sure to not put in the dirty water the sand was in. After that it was a battle to just watch the water cloud up. Used my filter sock to help remove the silt and junk from the water, and added in about 5 gallons of fresh mixed salt water to replace the water that was removed. Also added a good amount of the live sand to the refugium. After about an hour or so the water was clear enough to start putting in the rest of the stuff. I put in the snails and hermit crabs first, and did the snail rescue procedure to save them from the lovely hermit crabs. Carefully put in the rock into the tank and refugium. I did not have time to work on the rock structure, so it went in as best I could at the moment. Then I just started putting everything in. I made sure that the sponges were never exposed to air, and did about the same thing for the gorgonians. Then I tried to place things as best I could so they would not harm each other. All through out catching any of the rock crabs I could. 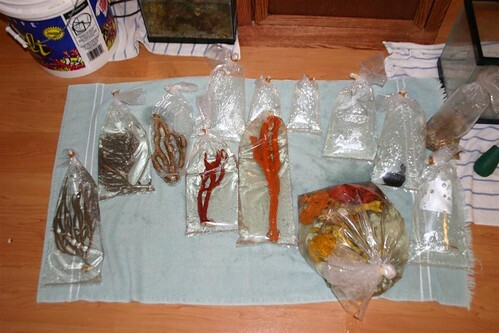 Also I made sure to remove anything living from the bag and put them into the tank. Due to it getting past midnight and almost 1AM I had to just leave things the way they were. Today I will be working on getting the stuff where I want it, but we all know that it can sometimes take awhile (weeks/months) to get the structure how you like it. Items received ... much more than what I asked for. Well I wanted to share some of the pictures of the stuff. 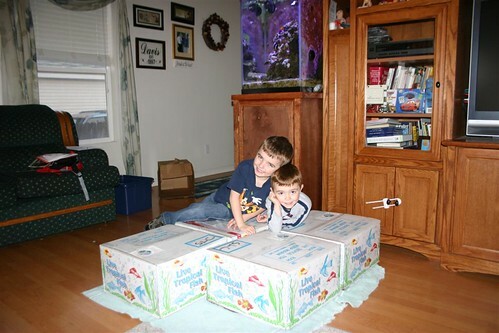 Here are the boxes and two happy 5 year olds! I was able to place all of the rock except one large one into my rock work. That one found it's home in my refugium. If you notice in the first picture, that is my tank before the change of LR, LS, and goodies. Right now I am still in the process of aquascaping, but the rock is how I want it and I currently love the look of it as it gives some great variation in the layout. I don't have a recent full tank shot. The things that did not last more than a year are the most of the sponges, all of the truncate, and all of the barnacles. It has been a long time since I have seen my cucumbers, so I think that they died. The reason for their demise is probably the small amount of sand bed I have and the snails that burrow and clean up the sand. Aside from that my yellow ball sponge found a great place and have been growing. 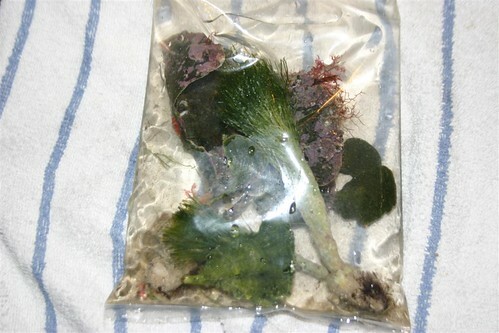 The anemones are thriving along with the three different gorgonians. 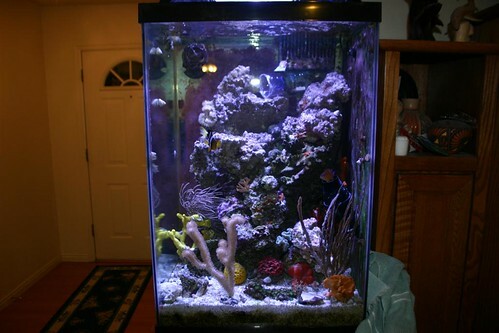 The reason the sponges and such died is that there is a large demand to keep them well fed and maintain water quality. Since I tried this without a skimmer it made it hard to keep good water quality and feed them too. Looking back I should have had a skimmer to be able to feed the tank better. All in all I still feel like I have a good bio diversity as a result of the original purchase and would definitely purchase again. Next time though I will make sure to have a skimmer over rated for the tank setup and do a better job of removing pests before putting the rock into the tank. Also feeding phyto every day from the start.